Refer 3 friends and receive $25 gift card. 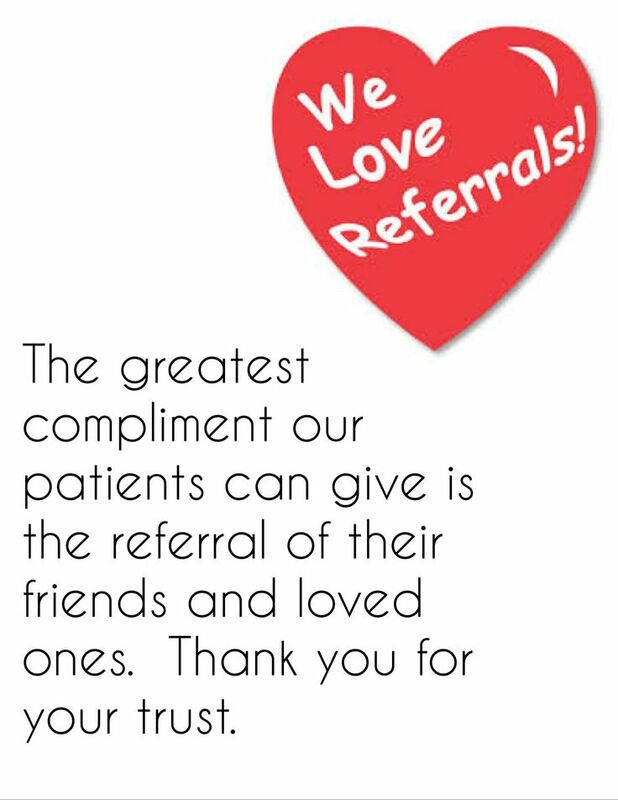 Refer 5 friends and receive a free 1 hour in-office teeth whitening. New Patients special---- $ 69 only ! Offer valid for new patients with no insurance and must be redeemed upon first visit. One offer per person, offer cannot be used in conjunction with any other offer or redeemed for cash. Not applicable with dental insurance.